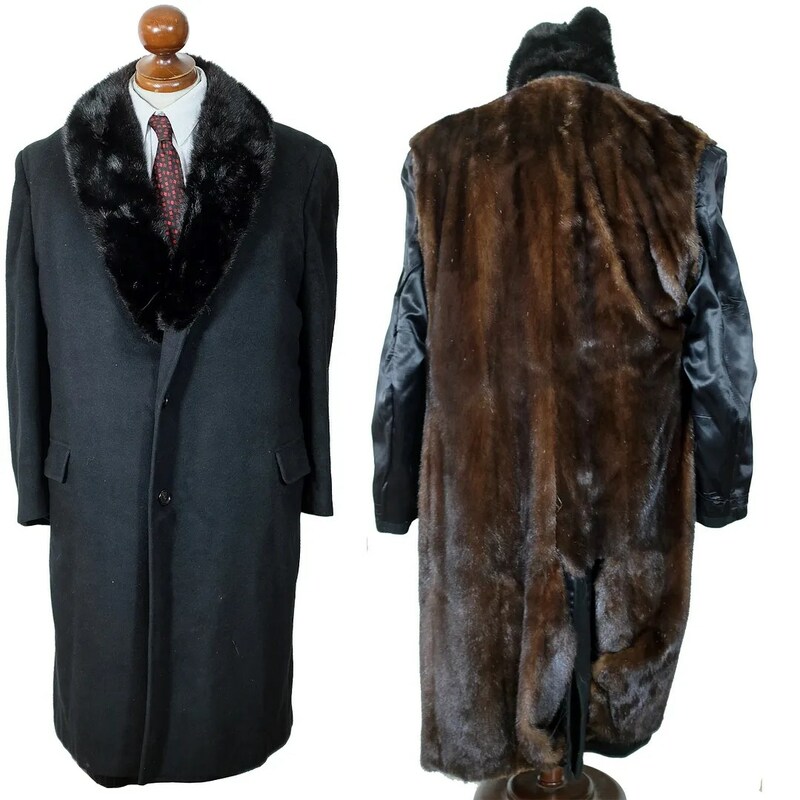 This vintage overcoat has a full fur lining and a fur collar. From the way the collar extends over the top buttonhole and the interior, I would say that the fur was added later by a tailor. This entry was posted in Coats and tagged clothing, coat, fashion, fur, fur coat, fur lined, mens, mink, muskrat, overcoat, shawl collar, style, vintage by Spencer Stewart. Bookmark the permalink.